Alfa Romeo came out with one big surprise at the International Motor Show in Frankfurt: an exciting, newly designed 4C. It seems the spotters did their job well and even the PR department of Alfa Romeo was running smoothly: some photos of the new 4C began to circulate a day before the official presentation. The sporty red roadster that made its debut in Geneva got a new livery called “Fluid Metal”. Naturally, the liquid silver model was awarded the centre place at Alfa Romeo’s exhibition stand and not without a reason: fans were really excited about the new exterior and the car craved attention. Probably more people were present at its debut than at the introduction of the TCT transmission in the Giulietta. Harald Wester, CEO of Alfa Romeo spoke mainly about these two models – 4C and Giulietta – at his press conference. As he put it, 4C is the philosophical ambassador of Alfa Romeo: first class technology and maximum driving experience, wrapped into real Italian design. These were already the main characteristics of the ancestors – 8C and 33 Stradale – and this is the line that they are going to follow when designing the alfas of the future. will stay under five seconds and the final speed will be around 250 km/h. 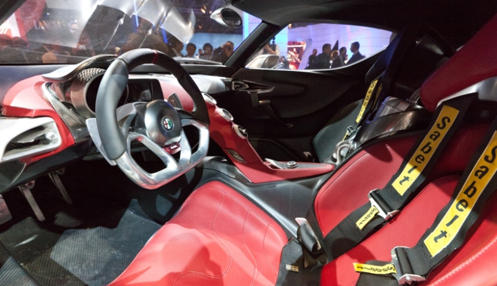 Alfa Romeo 4C will be sold from the year 2013 and will be available in every country, including the United States. The company will use the new design to direct attention to Alfa Romeo and their other models. Speaking of this year’s results, Harald Wester was proud to announce that the Giulietta has been the most successful model of the company so far, selling more than 100 000 since its introduction on the market. He also mentioned that the new TCT transmission will be available from september for both the 1.4 170 HP gas engines and the two-litre diesel engines. 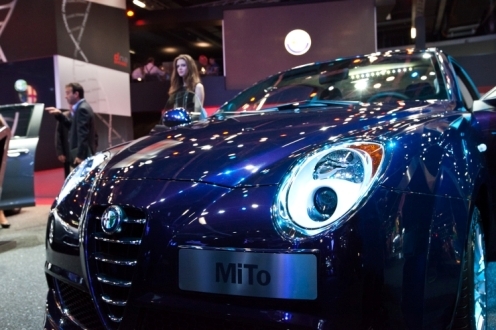 As for novelties, the CEO pointed out the “Alfa Active Suspension” of the new MiTo and the 85 HP TwinAir two-cylinder engine. 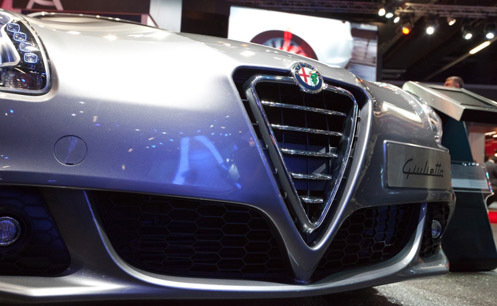 In Europe, Alfa Romeo raised its market shares from 0.7 percentage last year, to 1.1 percentage in 2011. Sales almost doubled, mainly because of the Giulietta - Harald Wester said. Next to the 4C, the new Giulietta equipped with double-clutch TCT transmission was also exhibited in Frankfurt. A luxury model, the 235 HP Tbi Giulietta was at the stand as well, though it hasn’t changed a bit since its last showing. The little MiTo also got a few extras compared to last year, like new livery nicknamed Black Ametista, although the colour seems rather deep blue than black on the photos. 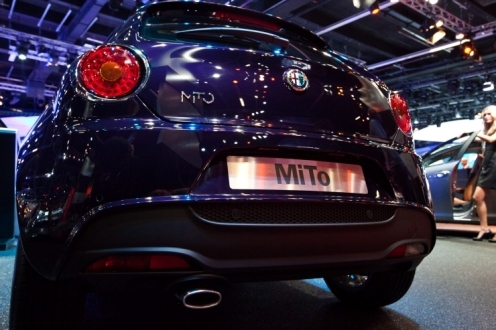 But there are other changes in the MiTo as well: the model is now available with the two-cylinder, 85 HP engine known from the Fiat 500. The company explained the introduction of the engine with environmental concerns. On the diesel side, Alfa Romeo offers a Start&Stop system to the 1.3 85 HP engine. The car with most numbers of Likes will be the winner.